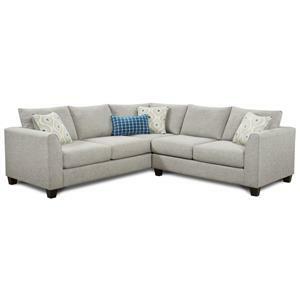 Adding exceptional accommodation to your living room, this sofa and chaise is perfect for your modern home setting. 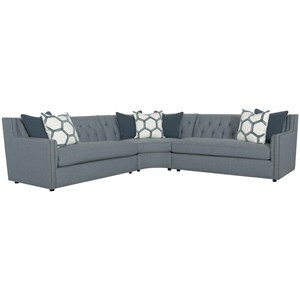 Highlighted by exposed wood legs, the piece features ample seating area with comfortable and supportive seats. 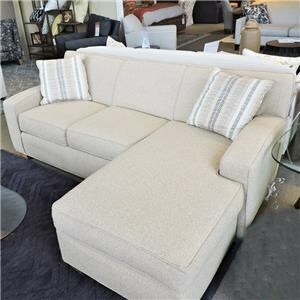 The Horizon Transitional Sofa and Chaise with Wood Legs by Rowe at Belfort Furniture in the Washington DC, Northern Virginia, Maryland and Fairfax VA area. Product availability may vary. Contact us for the most current availability on this product. 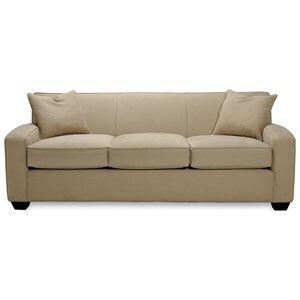 C570-000 Transitional Sofa 1 84" 38" 33"
C575-000 Chaise 1 30" 49" 21"
Fabric Options Over 500 fabric options available. Wood & Finish Styles with wood legs or wood trim are available in your choice of 6 finishes: Espresso, Honey, Chestnut, Washed Pine, Cherry, and Americana. 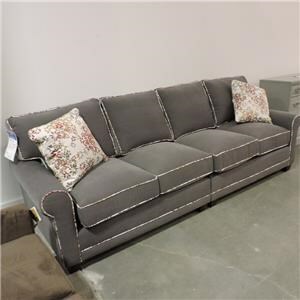 Frame Construction The frames of our Rowe upholstery are made of kiln-dried solid hardwood and a seven-ply kiln-dried hardwood laminate, These components are engineered and milled to create an integrated and structurally sound wood frame that won’t warp or twist. Seat Support Our heavy gauge steel spring system provides the base for a wonderfully comfortable and long-lasting seat. Springs are placed 4"-5" apart for uniform comfort and doubled up on each end to withstand the wear and tear that comes from everyday use. Padding & Ergonomics The standard 300cc cushion consists of a high-resiliency polyurethane foam core for the right amount of support, sink-in comfort and bounce-back. It is then wrapped in a layer of plush polyester fiber for softness and shape. 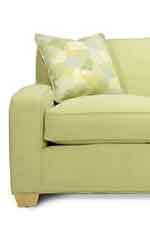 Feather Soft Cushions also available through special order methods. 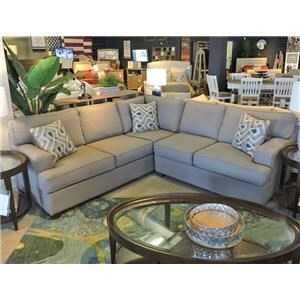 This living room group is a beautiful piece of contemporary work that has all the pieces that you need to furnish your living room and home with style. 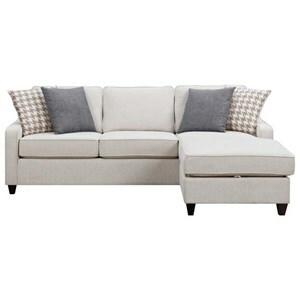 Each piece is finely constructed with deep padded upholstery. 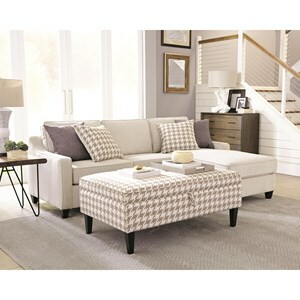 A stationary sofa, love seat and ottoman combine to provide plenty of seating, in addition to contemporary style. A matching sofa sleeper transforms into a bed by night to accommodate your overnight guests. 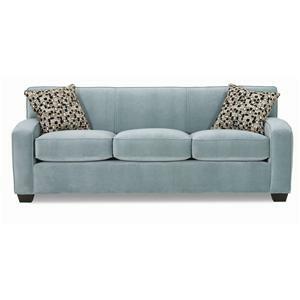 A stationary sofa with chaise completes the collection, allowing you to choose a seating group that suits your floor plan. 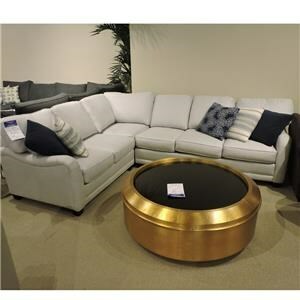 The Horizon collection is a great option if you are looking for Contemporary furniture in the Washington DC, Northern Virginia, Maryland and Fairfax VA area. 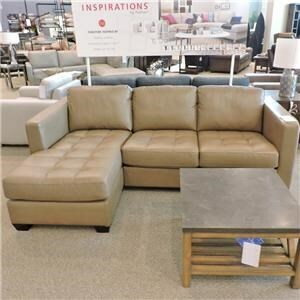 Browse other items in the Horizon collection from Belfort Furniture in the Washington DC, Northern Virginia, Maryland and Fairfax VA area.